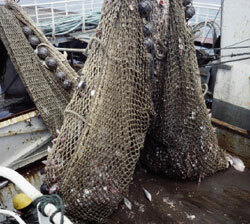 The European Commission has announced reduced fishing quota for 10 member states that exceeded their quota in 2013. The aim is to regenerate Europe’s depleted fish stocks. The Commission announces these deductions annually to address the damage done to the stocks overfished in the previous year and to ensure a sustainable use of common fishery resources by the member states, says an official press release. Compared to last year, the number of deductions this year has gone down by 22 per cent. “If we want to be serious in our fight against overfishing, we need to apply our rules by the book, and this includes the respect of quotas. To achieve healthy fish stocks across Europe we need efficient controls to enforce the rules in place,” the press release quotes Commissioner Maria Damanaki. According to a Reuters report, the deductions will be applicable for fish such as haddock, mackerel and herring and the move is likely to affect top fishing nations, including Denmark, Spain, Britain, France, Belgium, Greece, Ireland, the Netherlands, Poland and Portugal. The Commission estimates that 75 per cent of European fish stocks are currently overfished, compared to 25 per cent worldwide. In May 2013, the European Union (EU) signed an agreement to end decades of overfishing and to rebuild its dwindling stocks by 2020. Member states now follow scientific recommendations more closely when setting annual quotas, the report adds. Officials believe that if this practice continues, EU fish stock could go up to 15 million tonnes by the end of the decade.